According to Knight Frank, Asian buyers account for as much as 70% of all new-home purchases in London. The majority of whom do not live in the country, and at present won’t pay “second-home income tax” on those properties if they sell them. The result of this is a 13.8% increase in London house prices (to the end of February 2014), which far exceeds the income rate, which as it stands is actually down 3.8%, leaving good hard working “real” Londoners 17.6% out of pocket. London is falling apart. Prince Charles recently correctly stated that “This isn’t sustainable and risks driving away talented young individuals who are starting their careers in London and spending most of their income on rent. Home ownership for this generation is seemingly becoming further and further out of reach”. This Guardian article I was reading however went on to ridiculously suggest that building more “affordable houses” would make a difference! Get real! All that would happen is that the foreign millionaires would just take even more advantage of crazy system. Hello Government, where is your common sense? An effective short-term solution to London’s housing crisis would be to abolish the contradictory demand on property developers to provide “affordable housing”. This immediately pushes up the prices of the adjacent properties, thereby massively harming affordability of those to the general public. Now, I’m not targeting issues around “affordable housing” (or “social housing”) directly here, this is a completely different subject, one that I won’t cover in this post and is not something that I’m against. The only thing I will say is that I’ve had first hand experience of the moral-zapping consequences of it. It simply shouldn’t be implemented in areas focused on business, such as Canary Wharf. I spent 2+ years watching an apartment blocks being built around the old site of London Arena, a view I had directly from my old office window. Minimum price to the general public was set at £280k for a studio! On the weekend of build completion, an entire block (what appears to be at least 30% of the entire build) filled with families on income support, disability benefits, people that neither work in the financial services industry nor ever would (even if they wanted to work at all!). Not only is the block and entire development in an ideal location for commuting (and I mean by foot or bicycle here, not cramming more people onto already stretched public transport infrastructure, again another topic! ), they were/are occupying all types of apartment; from the basic studio, right up to the mezzanine floored Penthouses! How much more insulting can it be, when you’re sat working hard in the office across on a hot summer’s day, slaving away, only to peer out of your window and see these people sunbathing on their balconies and terraces!? Over-looking the river with a beautiful view, all amenities and services you could require, all for around £300 a month, the majority of which (if not all) being be paid for by UK taypayer, i.e. me sat in the office! In contrast, at the time I was traveling well over an hour to work by 2 trains and bicycle, working a 10+ hour day, often struggling to catch the last train, spending nearly £3000 per year on travel, all because buying a property closer was not financially viable. This is wrong. I’m now live in Zone 3, in a 1 bedroom flat where I’m simply paying the mortgage for someone else. If I were to buy the “box” I rent, it would cost me close to £300k, a price that simply sickens me. Again, only last week I read that Battersea Power Station studios (yes, I did just write “studios”! You know, those 0 bedroom, bathroom and kitchen in the same (small) room as your bed and living quarters, “homes”) are being sold for £800k!!! This is not a “home” this is legal extortion! At present the UK Government is alienating the young, the old, the educated, the entrepreneurs, even the wealthy UK businessman. It’s heading towards severe instability and has huge potential to implode, not only on the housing situation but also in society as a whole. 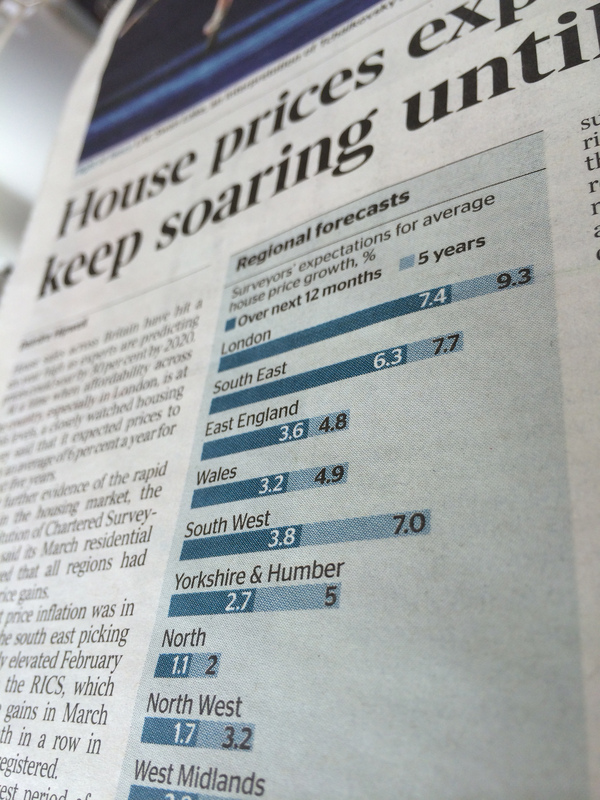 According to RICS latest figures, UK house prices are at a six-year high and forecasters are suggesting an increase of 9% year on year until 2020 in the capital. The website will be host to all future ideas on this topic and act as a campaign tool going forward. Until the e-petition is agreed from the Government there is direct way to add your support, but feel free to add your comments here and let me know if you want to be part of that. If the e-petition does not get approval, I’ll update the website with a “Sign-up to this campaign” mechanism directly. Lastly, and to expose the greater scale of the housing situation in London, the transport system should also be considered. With all this new housing (including the “affordable housing”, has transport been reviewed at all? The latest crazy tube station closures come at Bond Street this year, which is probably one of the busiest stations in London and next to arguably the busiest (outside of London Bridge and Waterloo), Oxford Circus. Bond Street is due to close on the Central Line from April 23 until late June, then on the Jubilee Line from December! How exactly do they expect to cope with the already manic commuter, shopper and tourist route on at Oxford Circus? *A “UK resident” is someone that lives and resides in the UK for the majority of the year, has UK citizenship and has lived in the UK for the last 3 years. **A “UK worker” is someone that works in the UK and has tax records in the UK dating back 3 years. Similar to a credit check.